“Aren’t a lot of dreams just meaningless firings of the brain?” This is a question that I have heard at least 100 times in dream meetings or private conversations. Whenever the question is asked, my first inclination is to ask the person how their own life is so meaningless, but it is a bit abrupt to ask it right away when a person is not ready for it, so I try to ease my way in. I think maybe that science has done a pretty good job in most parts of the world to attack the old superstitious practices that people relied on so faithfully, but our materialistic leanings may have just shut out an important part of our lives, spiritual communication. There are at least three practices that are necessary if we want to take advantage of communication with the non-material realms. They are prayer, meditation or reflection, and action. When Karl Marx first called religion the opiate of the masses, I think that he was referring to the fact that most people in his time only did the first process and not the other two. “Please God make me rich.” This is the prayer, but then most people sat around and waited to get rich without doing the other two processes. Prayer is the act of recognizing one’s nothingness in comparison to the Creator and then beseeching the Divine Force for growth and assistance. Meditation or reflection is the process of listening for guidance and answers. If you are certain that you need a certain quality like patience so that your life can function better, then prayer sets up the proper relationship between yourself and God. It recognizes that God is all-knowing in comparison to your feeble mind and then allows you to reflect and meditate on what you need. Oftentimes people want something without doing the work it requires to acquire. You cannot just wake up one day and have more patience. I usually tell people that if you work really hard, then it usually takes a year to develop a quality strongly enough so that in the next year you can start a new quality. When you pray without the conviction to do the work, the prayer is really just a wish. Wishing and praying are not the same thing even though a lot of people use them the same. I think that maybe the least developed aspect of the spiritual communication process is meditation. I don’t think of meditation as simply a practice where you sit down and wait for an answer to prayer even though that may be part of it. I think of meditation as constantly being open to communication from the divine world. I never used to believe that the spiritual world was always trying to communicate with me until I realized that the purpose of my life was constant transformation and actualization of new qualities. Then I understood that the non-material forces were always supporting me to improve my life and the lives of others. If you pray for patience, for instance, you probably will be sent people in your life who are not easy to work with. If you pray for determination, you are going to be given tasks that require a lot of hard work, and if you want to be more honest, then there will be situations where you will really want to lie. This is what God does. You pray and then He supports you by making life challenging so that you will develop those amazing qualities that makes your life better. When I am active in helping people through changework, I almost always receive a dream the evening before the session that tells me something about the issues that the other person is having. 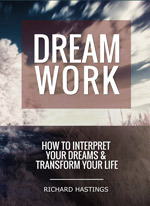 When I receive the dream and then reflect on it, it gives me some guidance for how to work with the person. By being open to the dream, understanding it, and then acting on it, I usually get good results. The third step in the process is action. Without action the other two processes are not very useful. Action is where you get the feedback to let you know how much progress you are making. So for instance, you have prayed for patience, realized through the meditation step that when someone tests your patience, you can slow down. You also understand that whatever you were trying to accomplish is not timely, but when you try to do the action step by putting patience into practice, you end up becoming really angry at someone for slowing you down. The anger is the feedback you need in the action step so you can improve. What most people don’t want to submit to with the virtue of patience is that the goals they set are usually untimely like trying to get a doctorate when you have a new born baby. As long as you pray for patience, God is going to put you in the same situation to test it until you learn it. When you learn it, then some other aspect of patience may be developed. 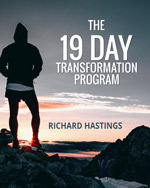 So in summary, the spiritual communication process requires that you recognize your lowliness in relation to God, ask for His assistance to be able to grow spiritually and help others, meditate on the guidance that you receive, act fully on the meditation decisions, and then use your experiences as feedback for further growth. My own experience has taught me that when I do these steps, that my life is full of meaning.